James Raven, a leading historian of the book, offers a fresh and accessible guide to the global study of the production, dissemination and reception of written and printed texts across all societies and in all ages. Students, teachers, researchers and general readers will benefit from the book's investigation of the subject's origins, scope and future direction. 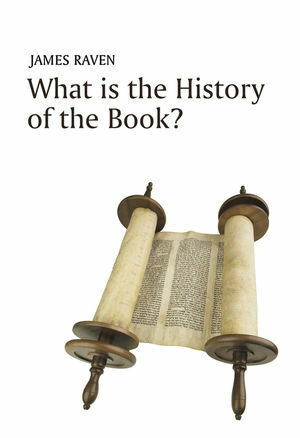 Based on original research and a wide range of sources, What is the History of the Book? shows how book history crosses disciplinary boundaries and intersects with literary, historical, media, library, conservation and communications studies. Raven uses examples from around the world to explore different traditions in bibliography, palaeography and manuscript studies. He analyses book history's growing global ambition and demonstrates how the study of reading practices opens up new horizons in social history and the history of knowledge. He shows how book history is contributing to debates about intellectual and popular culture, colonialism and the communication of ideas. The first global, accessible introduction to the field of book history from ancient to modern times, What is the History of the Book? is essential reading for all those interested in one of society's most important cultural artefacts. James Raven is Professor of Modern History at the University of Essex and a Fellow of Magdalene College, University of Cambridge. 4. Who, What and How? "This is an invaluable survey of the origins, theoretical and methodological underpinnings, and major resources and findings of the fast-growing field of book history, across a global range of times and places." "James Raven's boundary-defying book is delightfully adventuresome in its thinking and dazzling in the scope and command of the sources it adduces. This remarkably accomplished little volume will be part of the conversation for years to come." "It’s exactly what I need to introduce me to what the discipline embraces, how it began and how it is developing."